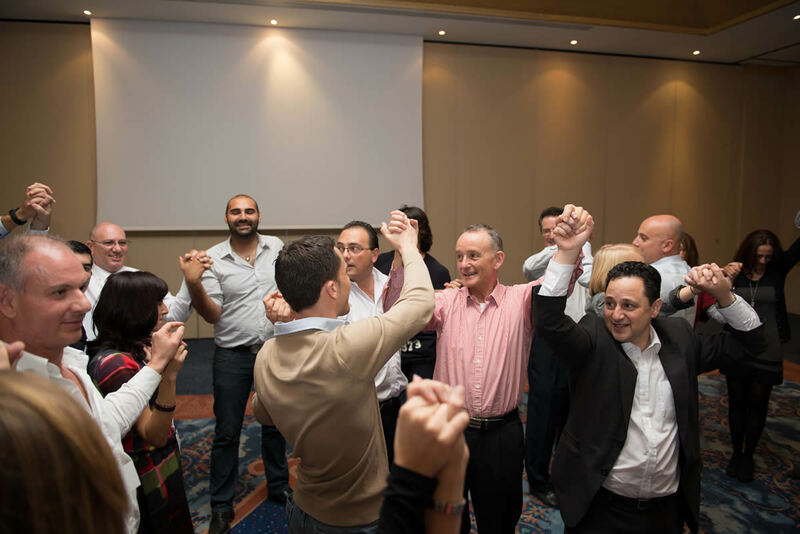 Our team building programmes start off by learning about your business objectives, your people & your challenges. We learn about your team members’ motivation to change, their desire for growth and their passion to make real and greater contributions. We listen to what you want to achieve. We assess your needs through our needs analysis programme. When our analysis is complete we begin the task of designing the programme or programmes that will deliver the team building results you deserve. Moreover, we won’t stop there. We offer an after programme analysis which measures the benefits generated from the team building programme/s and plan future activities and programmes which specifically target identified gaps. 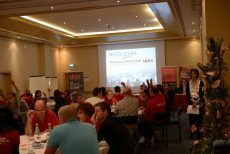 The Team Building event organized by LEAD for us was very inspirational, energizing and generated bringing lots of interesting ideas. 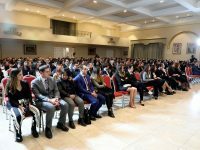 The event included both substantial and in-depth knowledge together with case studies, learning from our own experiences and being fully practice-oriented. 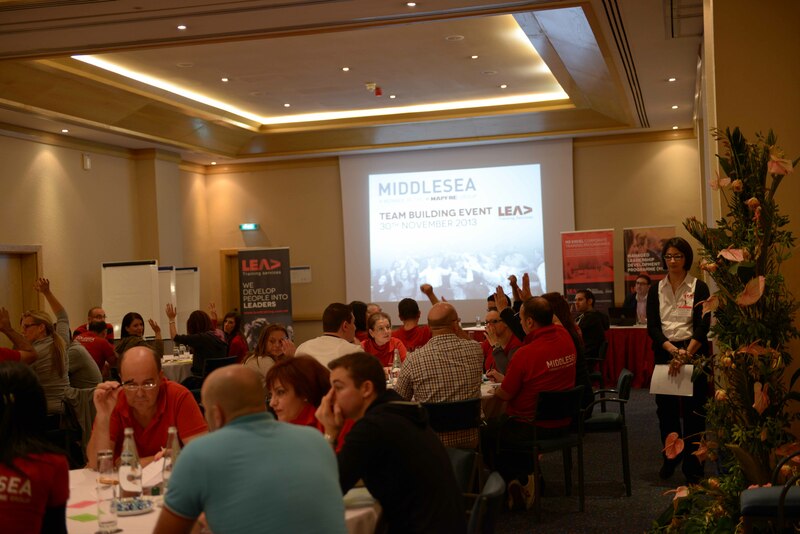 LEAD organized our team building activity for all members of staff. It was a half day activity filled with team exercises and games coupled with elements of creativity and innovation. The activity as a whole was very well-organized and coordinated in a professional manner. Employees’ feedback on the activity was very positive. 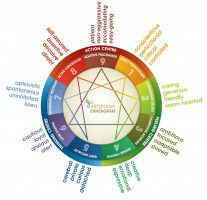 During the three-hour process, the team uses the Enneagram as a process for understanding the needs and motivations of different types of people, they learn the language of personality types and how to recognise both their own style as well as that of the people they work with. Once they recognise their own styles, they start to become aware of what drives their clients and what makes relationships functional or dysfunctional. The process is fun and engaging, it provides new ways of analysing and understanding relationships and it opens up new possibilities for different interpersonal strategies. 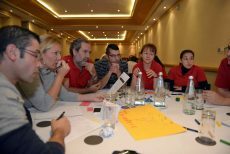 The scope of this exercise is participation of all members as one united team under pressure – this exercise is difficult and challenging for many reasons. Due to an “emergency rescue scenario” people will have no choice but to actively participate as they are “ordered” to help by the lead fire fighter who will storm in the training room without pre-announcement and shouts out for help! Multiple tremors have occurred around the island and the emergency forces are stretched out to maximum capacity, hence civilians are being asked to assist in the search for and assistance of casualties within the hotel building as parts of it have collapsed. A briefing of safety and security will then be given, (this is not part of the “role play” but a proper Health and Safety Brief). Basic words of command shall be taught as well as basic search techniques. First Aiders, medics as well as team leaders will be identified. Uniforms [flight suits, safety helmets and gloves] may also be distributed and the team will then start the search until the casualty is found and recovered. 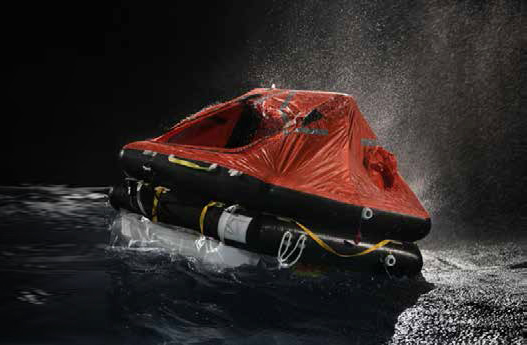 Recovery may range from a simple hidden dummy, to a more intense recovery, such as a casualty buried under debris, where participants will have to excavate for the dummy. 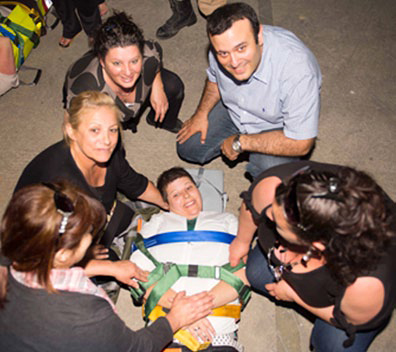 The casualty will then be carried to an identified safe recovery area. The participants will be supervised throughout by competent Health and Safety Officers as well as properly trained Rescue Technicians. After the exercise, the facilitators will highlight both positive and negative observations (areas for improvement). This exercise was invented by Prof. Edward Debono himself and is described in many of his books. 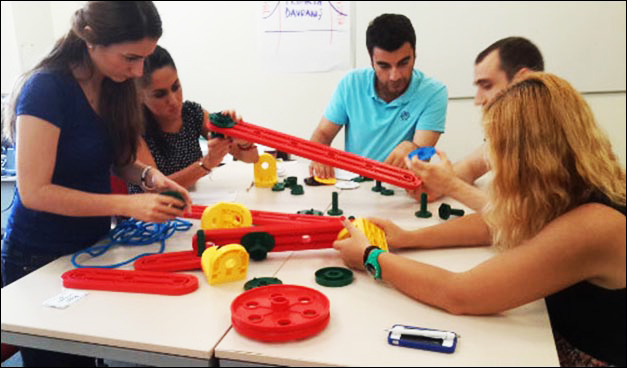 The interesting aspect of this group exercise which makes it excellent for a corporate team-building activity is the fact that it must be linked to the organisation’s values, objectives or even problems/challenges. The end result of this exercise is an idea which would need to be presented to the rest of the audience in a creative way. The concept behind this course is randomness so teams will have to work with a randomly selected word and a randomly selected problem/challenge and creatively they would need to brainstorm, discuss and analyse these words in a context with the target of creating a strong idea. Through this powerful exercise, teams will appreciate that randomness is part of life, a crisis can happen at any time and many times when unexpected. However it is at this crucial time that people must get together and bond, and whilst keeping a positive attitude, be creative and think laterally so as to turn an unexpected random situation into a great opportunity via the generation of an idea. At the end of the exercise teams would need to vote for the best idea and most original presentation. It is said that Newton got the idea of gravity when he was hit on the head with an apple while sitting under an apple tree. It is not necessary to sit under trees and wait for an apple to fall – we can get up and shake the tree. We can produce our own chance events. The brain is a self-organising system, and very good at making connections. Almost any random word will stimulate ideas on the subject. Follow the associations and functions of the stimulus word, as well as using aspects of the word as a metaphor. Another great team building exercise is the Marshmallow Challenge, which has been scientifically proven for its effectiveness. The Marshmallow Challenge is a remarkably fun and instructive design exercise that encourages teams to experience simple but profound lessons in collaboration, innovation and creativity. The marshmallow challenge is among the fastest and most powerful techniques for improving a team’s capacity to generate fresh ideas, build rapport and incorporate prototyping – all of which lie at the heart of effective innovation. It is a great way to get a team into a creative frame of mind, or simply want to encourage your organization to think about what it takes to dramatically increase innovation, invest just circa 45 minutes to run a marshmallow challenge. The task is simple: in eighteen minutes, teams must build the tallest free-standing structure out of 20 sticks of spaghetti, one yard of tape, one yard of string, and one marshmallow. The arshmallow needs to be on top. Surprising lessons emerge when you compare teams’ performance. Who tends to do the worst? Why? Who tends to do the best? Why? Following introductory ice breakers ‘Stand in Line’ and ‘The Pig Personality Profile’, this session will focus on how one can increase self motivation. This awareness will give the individual added power for improvement, goal orientation and effectiveness. ‘Locus of Control Principle’ questionnaire and 212 Degrees – that extra degree! video clip. The session will include with ‘Pass that Ball’ – a beat-the-clock activity focusing on efficient team working. 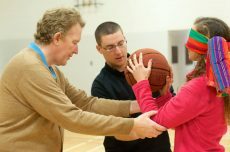 Effective inter-personal communication skills….verbal / non-verbal communication / body language / listening are facilitated through a variety of input, interactive and stimulating exercises…’Passing the Message’, ‘One Way vs Two Way Puzzle Exercise’; Knotty Problem’, ‘Listening List’ amongst others. This session addresses the practice of win-win approaches, assertiveness and teambuilding skills, through a brief input presentation and appropriate activities. ‘Self Talk’; ‘Team Work’ Squares: Individual vs Group Exercise; ‘ColourBlind’– a highly interactive, blindfolded group exercise will be used to simulate changing scenarios and people adaptation to change and TEAM SYNERGY. e.g. dis/allowing verbal communication, or allowing only a certain modus of interacting. According to the dynamic of the group, its size, the location and the particular case / situation created by the variable features involved, the facilitator may notice and point out certain learning points that the events may bring up. of each group working to verbal instructions. Save me I'm worth it! A game that brings values to surface and forces people to collaborate together very fast by its very nature. Being placed in a situation of quite a fix, teams/groups are placed under pressure to resolve some very hot issues and explain their reasoning at the end of the game. Under pressure of time, thoughts and decisions need to be quick and as “correct”, “good”, “honourable” etc as possible, all within a situation of life or death. Decisions need to be justified at the end of the session. The whole session is enhanced and brought to life via sounds, music and visuals. This doesn’t mean that you need nine individuals, each with one strong Team Role in each team. Each of us can play two or three Team Roles well, and should learn to adapt our behaviour to the needs of the of team’s objective.